In a time when government talk is all about pay cuts, hardship and tightening our belts, the last thing anyone would have expected was the news last week that the chairperson of state body NAMA had received a 70% pay increase, just three months into the job. This shocking and sensational news story was broken by Sinn Féin after party finance spokesperson Arthur Morgan received a reply to a parliamentary question he had put to the Minister for Finance. The question asked what the NAMA board members’ salaries were and when they had been set. The astonishing answer revealed that the chairperson Frank Daly had started on €100,000 per annum and ordinary board members on €38,000. On 22 December, 12 days after the harshest budget in the state’s history that left many families facing into a Christmas of poverty, NAMA officers met with the Department of Finance and had their pay increased by €70,000 in Daly’s case and hiked from €38,000 to €50,000 for ordinary board members. Ordinary members get an additional €10,000 if they chair a committee and the credit committee chairperson is on a fixed rate of €150,000 – as long as he does three to four days work per week. You could be forgiven for thinking that the magnitude of this story would be seized upon immediately by a media that continuously leaps at even the most trivial opportunities to have a go at this government. However, the reaction to the revelations says everything republicans need to know about the continued bias against Sinn Féin in the media. 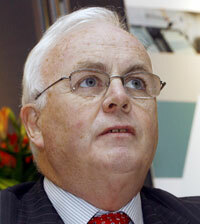 The initial statement was put out by Arthur Morgan on Thursday, when he also raised the matter in the Dáil. On that day, one Irish Independent journalist contacted his office to inquire about the veracity of the statement. She ran the story the following day with no mention of Sinn Féin. It wasn’t until the next day that RTÉ picked up the story. By mid afternoon it was at the top of their news web page and it made it to the top of the Six One news, where a short clip of Arthur was played, followed by a comment by a Fine Gael spokesperson. This story could have run all weekend, considering the decision that has seen public service unions back in government buildings discussing the recent pay cuts, but by the nine o’clock news on RTÉ, Sinn Féin had been dropped from the story, and again on the late night RTÉ 2 news. The pay facts were given, but no mention was made of where they had come from. This also happened on several radio stations’ news bulletins, though a few papers ran it the next day with Arthur attributed. The facts of this story are astonishing. When every other public servant in the state was having their pay slashed, when social welfare recipients were seeing their pay cut, when public and community services were being targeted, the board members of the most recently established state body went into the Department of Finance and demanded enormous pay increases – and got them. That the state body is NAMA and the subject of the most intense financial debate this state has ever seen makes it doubly relevant. There can be no justification for this. If either of the two establishment opposition parties had broken this story it would have been repeated ad nauseum for at least an entire day. Republicans should be aware of just how determined the mainstream media is to keep Sinn Féin off the airwaves – unless the story is something they can try to use against us. Sinn Féin Finance Spokesperson Arthur Morgan has called on the Minister for Finance Brian Lenihan to revoke the increases in pay for the members of the Board of NAMA. He described the massive pay increases as an insult to ordinary public sector workers who are being asked to take pay cuts. “Public service unions are entering into pay talks with the government on behalf of the hundreds of thousands of public sector workers whose incomes were decimated in the Budget,” said Morgan. “The Government are trying to silence the public sector and to make teachers, nurses and Gardaí up and down this State accept the drop in their incomes. This is against the backdrop of a 70% pay increase for the Chairperson of the Board of NAMA and significant increases for the other Board members. “This revelation is a part of a litany of injustices to ordinary workers to arise out of the Budget. Not only did the lowest earners see their incomes slashed, but they saw the top earners in the public sector have their pay-cuts reversed and now members of the NAMA board have had their incomes revised upwards. “The government indicated that pay cuts were essential in reducing the public sector pay bill, but it seems that these savings are being wasted on funding extraordinary pay rises for the Board of NAMA – the Board that has been set up to try and clear up the mess that Fianna Fáil and their cronies made of the banking sector in the first place. “Sinn Féin showed tangible evidence that savings could be achieved and it didn’t include slashing the incomes of the low and middle income earners, while topping up the incomes of the NAMA Board.